Mike is a member of the Real Estate department in the Orlando office. 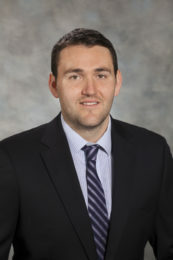 He focuses his practice on commercial real estate transactions, including the representation of businesses, landowners, investors and financial institutions in the acquisition, finance, development and disposition of real property, and in the leasing of retail, office and industrial projects. Mike has significant experience representing developers in the acquisition and development of commercial real estate properties and representing landlords and tenants in all facets of leasing transactions. While in law school, Mike was a judicial intern in the U.S. District Court for the Middle District of Florida to both the Honorable Harvey E. Schlesinger and the Honorable Joel B. Toomey.